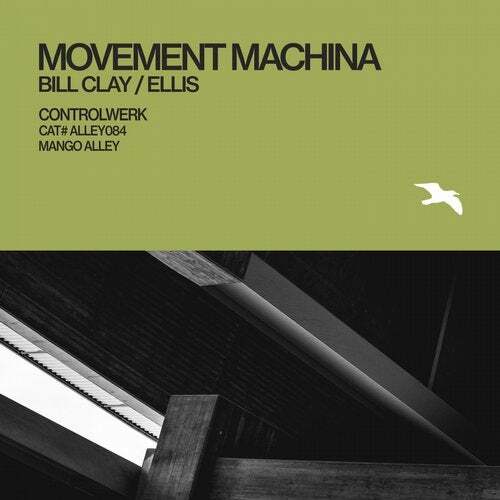 Returning from the crisp, cool waters off the Gulf of Finland, Movement Machina punches hard with "Bill Clay". From soaring heights, organic sounds spray across the stereo spectrum full of towering menace. A multi-layered narrative finds pitched dialogue perfectly synchronised to dynamic groove that forms a foundation alongside rumbling bass hits. The lighter melodic tones of "Ellis" provides an effervescent new character to the story – confident and assured, a delayed arpeggio and rich motifs vie with a brash bass undertone full of analogue timbre. A 'sonic auteur' whose sound flows out of the River Gostynia in sublime, gentle waves – Controlwerk finds a new character for "Ellis" to play. Recurring themes from the original role resonate across a new adaptation. Additional melodies, full of beauty and guile create a multi-dimensional persona with hidden depths.